This is some extraordinary present day modern art. 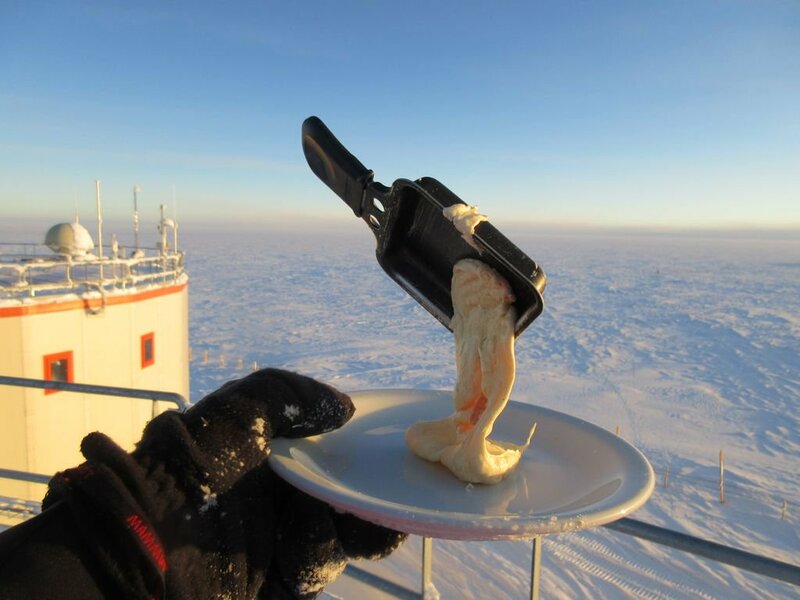 The German scientist from the European Space Agency (ESA) Carmen Possnig, who is now on an expedition to the Antarctic station Concordia, once again pleases her Twitter followers. 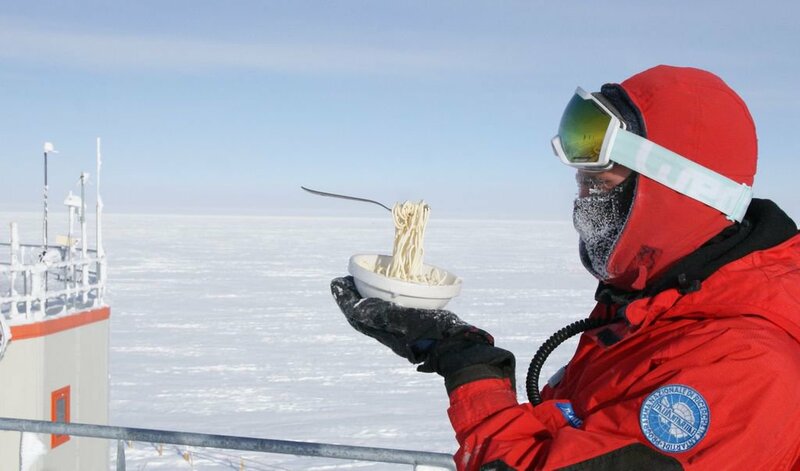 Not so long ago, Carmen experimented with noodles, which she exposed to - 60 degree frost. But, as it turned out, other products went into the course. 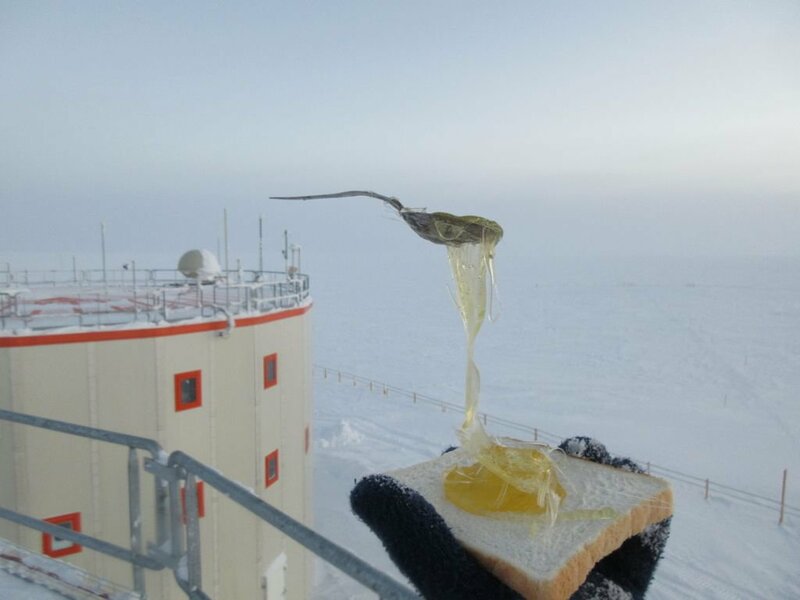 The girl froze eggs, bread and honey and melted cheese on the street. The food in just a few seconds turned into fascinating sculptures, which can sometimes be found in the museums of modern art. By the way, according to Posnig, after the photo shoots all the products were unfrozen and eaten.